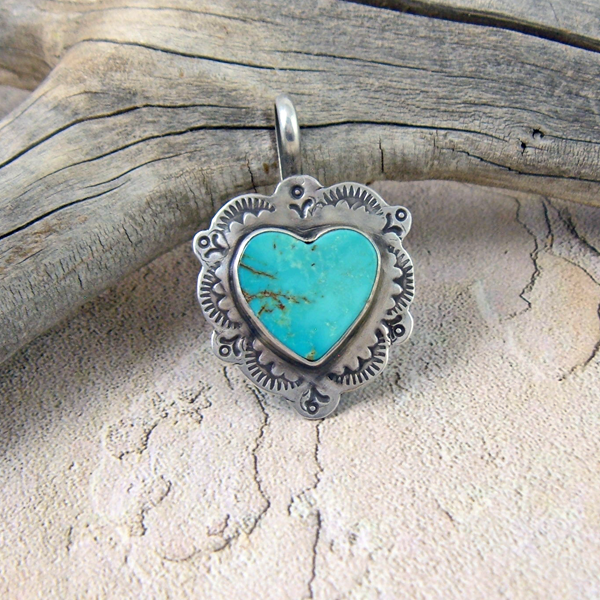 A turquoise heart set in silver. 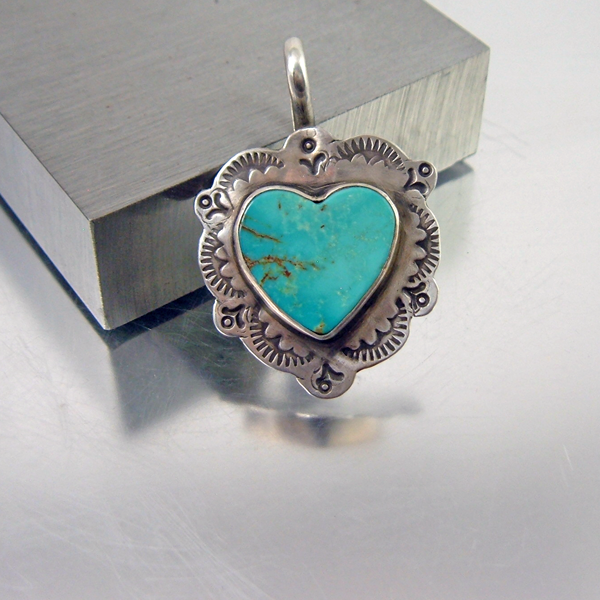 Royston turquoise is popular for its beautiful color and veining. I've set this heart into sterling silver and used traditional handmade Navajo metal stamps to create the timeless design. 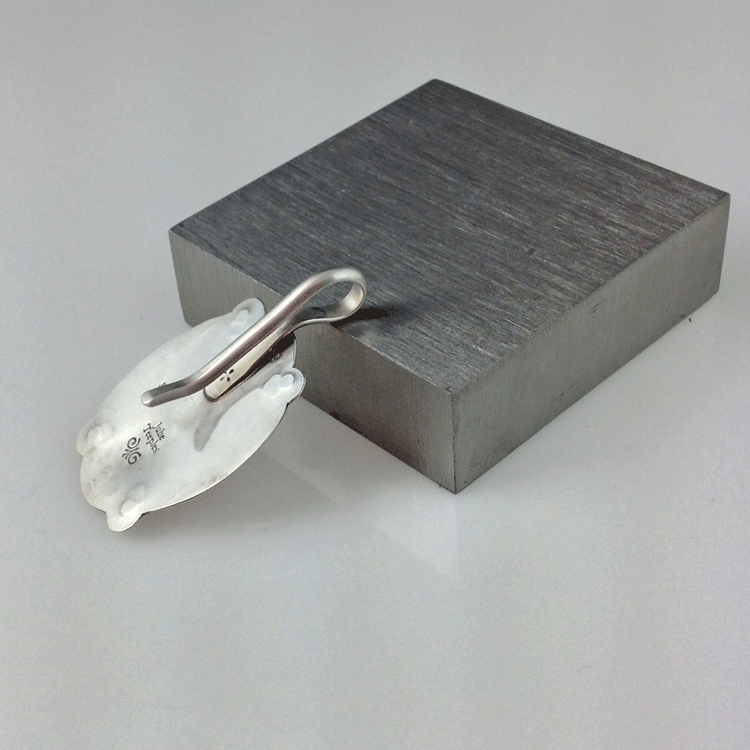 For ease and versatility I've made the bail into a hook so it can be worn on many types of chains, beaded necklaces or leather. 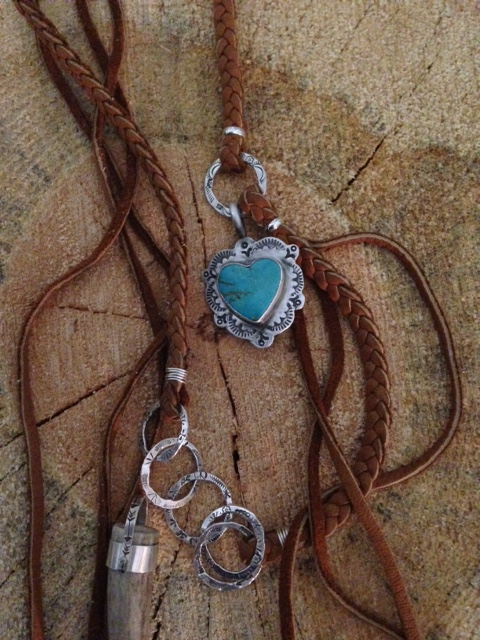 The silver was given a matt finish for a Southwestern vintage look. 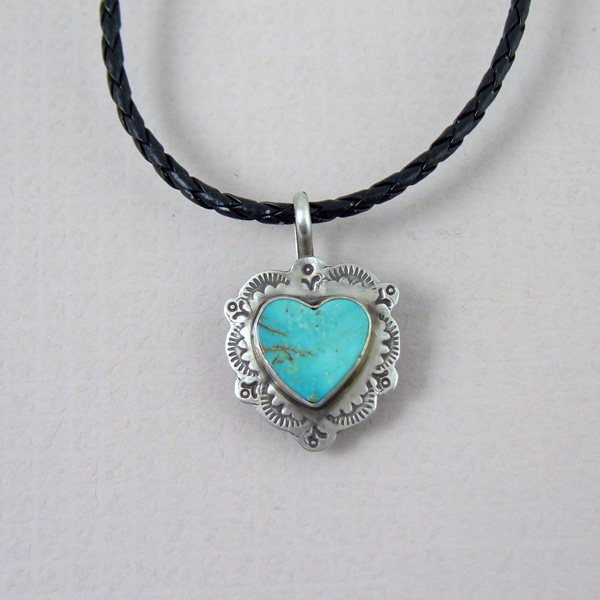 A design such as this is and will always remain the American West.